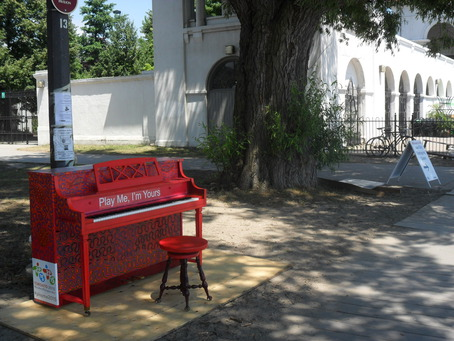 To mark the hosting of the 2015 Pan Am Games, Toronto has commissioned the unique art project "Play Me, I'm Yours." Symbolizing the participating nations are 41 pianos, painted by an artist from each of the countries, scattered in public places about the city. A conceptually strange, and very early, way to welcome an athletic competition, aesthetically it's a much better public art display than the ridiculous moose that infested the city a decade ago.